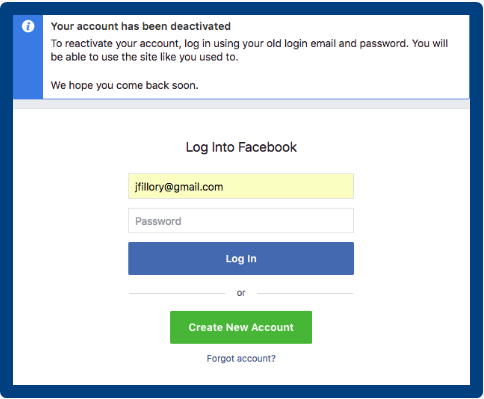 If you determine that you no longer want to use Facebook, it's simple to deactivate your account. 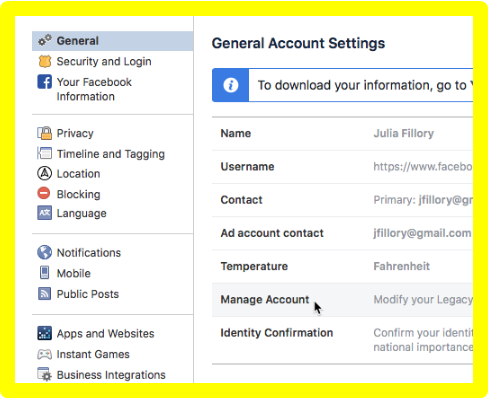 When you deactivate your account, you're hiding all of your information on Facebook. 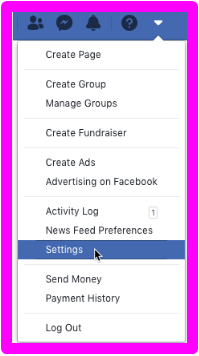 Nobody will have the ability to call you on Facebook or see the things you have actually shared, including your Timeline, standing updates, and images. 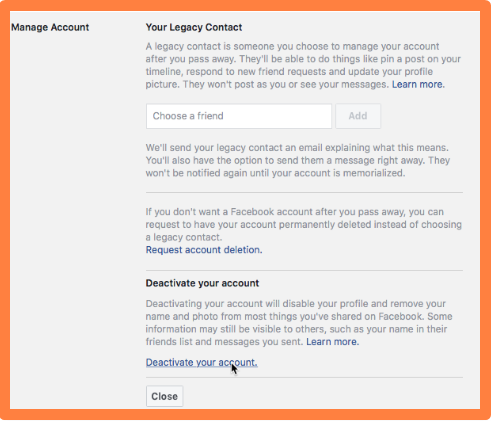 If you choose that you want to return to Facebook, you'll still have the ability to reactivate your account and recoup your old details. * Click the drop-down arrowhead on the toolbar, then pick Setups. * The Settings page will certainly show up. Click Manage Account. * Select a factor for deactivating the account. If you desire, you can add more information in the text box below. When you're done, click Deactivate. * Your account is currently shut down. 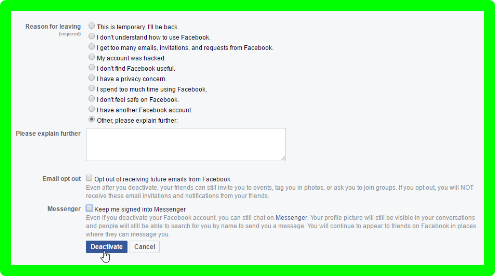 You'll have the choice to reactivate your account at any time by signing in to Facebook with your old account info.